We want to thank all attendants of the 2nd Medical battery conference. 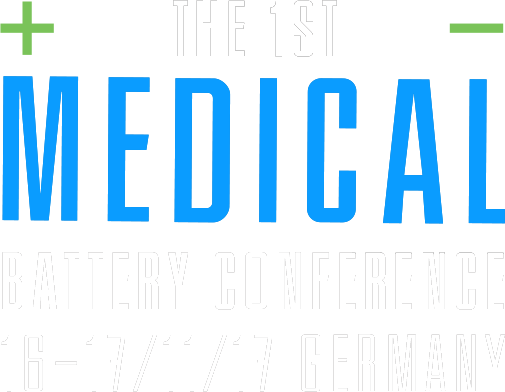 We plan the 3rd Medical Battery Conference in Germany for Q2/2020. We will update the final dates during Q2/2019. The medical sector face a fast grows of new medical devices being solutions for many medical problems never solve till these days. Medical devices range from implantable, electronic pills; devices carry over human body, Wearable electronics and devices for ambulances and hospitals. What is in common to all these devices is the need for batteries. Medical batteries required to meet performance, safety, reliability, hygiene, special certifications and cost. Shmuel De-Leon Energy and RRC Power solution decided to support that battery industry segment grow with a dedicated yearly conference that will be a place to discuss and provide a platform for technological innovations and business opportunities. The conference will discuss the latest advances in the medical batteries filed found worldwide. An Exhibition will run alongside the conference.